Most of the students have been participating a vast of your upcoming examinations. We thought of helping you by giving out daily current affairs quiz on banking, insurance and other examinations that will boost up your mind and prepares for the various exams and it helps to crack a lot of examinations. 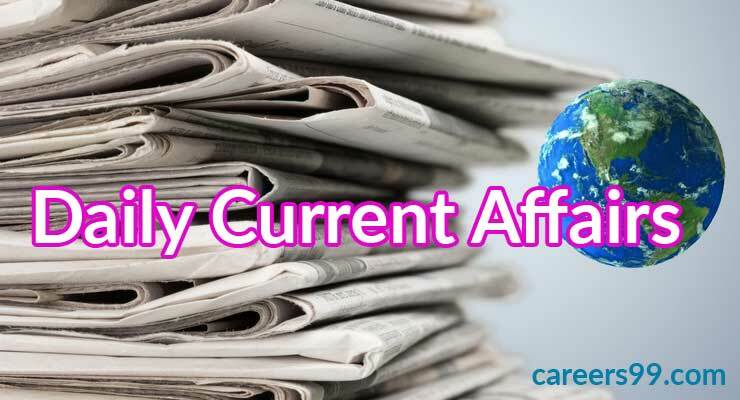 The current affairs and quiz contains mainly excepted questions which matches with the exam pattern for the Government job exams and bank exams. We pushed the current affairs quiz August 21st 2018 and check the preparation level. By checking the current Affairs today you may also check the yesterdays Current Affairs Quiz and try to attempt 20 bits correctly. The NOTA option will not be available in Rajya Sabha Elections for voting. The ruling was made by a bench of justices comprising CJI Dipak Misra and AM Khanwilkar and DY Chandrachud. The bench held that the NOTA option is only meant for Universal adult suffrage and direct elections and not for the polls held by the system of proportional representation by means of single transferable vote by Raya Sabha. The festival of Esala Maha Perehera was done very grandly in Sri Lanka. It was began in Kandy with a good procession. In Sri Lanka the biggest temple named Buddha temple and good procession at Dalada maligawa at an auspicious time. All the Buddhist Temples Esala Perehera is one of the oldest temples. In that temple dancers, jugglers, musicians, fire-breathers and lavishly decorated elephants. Payment is partnered with china Alibaba is going to launch Al-based cloud computing platform. This platform will offers business centric apps to developers, start ups, that need cloud computing solutions and easy to understand. It will helps adn stores all consumer data ocally in servers located in India. Novak Djokovic (Serbia) beat Roger Federer (Switzerland)in straight sets, high-profile championship match at the 2018 Western and Southern Open in Cincinnati. With this win, Djokovic became thefirst men’s tennis player in history to win all nine Masters 1,000 tournaments after finishing as the runner-up in Cincinnati five different times. India got its second Gold medal at the 18th Asian Games in Indonesia when Vinesh Phogat defeated Japan’s Yuki Irie in the final of freestyle50 kg category in Women’s Wrestling. With this victory, Vinesh created history as she is thefirst Indian woman wrestler to win gold in the Asian Games.